Recap: “L.A. 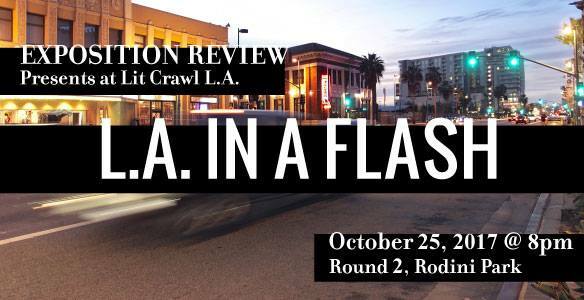 in a Flash” @ Lit Crawl L.A. The editors of Exposition Review love Lit Crawl L.A., and we’re excited to be among those chosen to host an event at this bar crawl turned literary extravaganza. On October 25, we gathered in NoHo with some of our favorite multi-genre short form writers for “L.A. in a Flash,” one of our signature #ExpoPresents micro-readings/workshops. Read on for all the flash-y details.